2015 I WRAPS I 73 After completing the full wrap we then started the "Tron" project. The idea was to give the vehicle some subtle accent lines that would create a lighting effect similar to those crazy "Light Cycles" seen in the movie Tron. 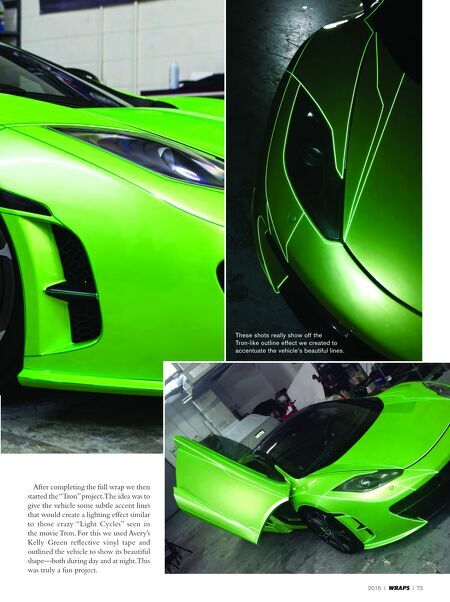 For this we used Avery's Kelly Green reflective vinyl tape and outlined the vehicle to show its beautiful shape—both during day and at night. This was truly a fun project. 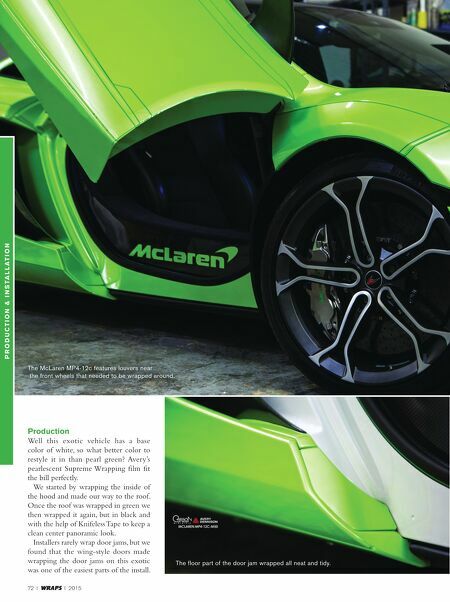 These shots really show off the Tron-like outline effect we created to accentuate the vehicle's beautiful lines.